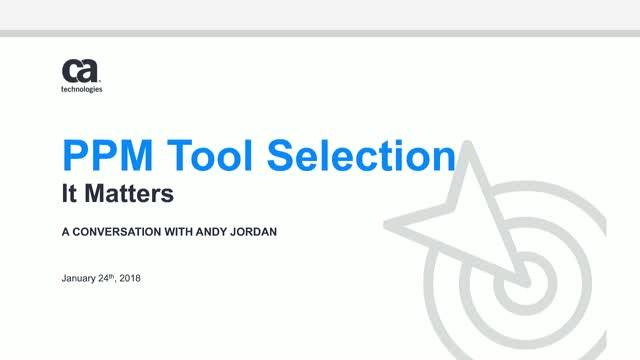 PPM Tool Selection. It Matters. An organization won’t succeed simply because they choose the right tool, but they may well fail if they commit to the wrong one. Don’t miss this thought provoking webinar and give yourself a significant advantage in the battle to deliver consistent success. Title: PPM Tool Selection. It Matters.